A Russian policewoman has fascinated Japanese users after her image appeared on a Twitter account under the handle @CRSVDV, receiving 48,250 retweets and over 157,000 likes. All eyes are on the picture of the Russian policewoman, who was later identified as Tatiana Zima, a sergeant of the Moscow mounted police, as Japanese Twitterians admired her beauty, which seems at odds with her not so a glamorous job. Some said that they had fallen in love with her, while others expressed a desire to visit Russia and break the law so that they could meet the gorgeous police officer in person. — CRS@VDV (@CRSVDV) 10 июня 2018 г. 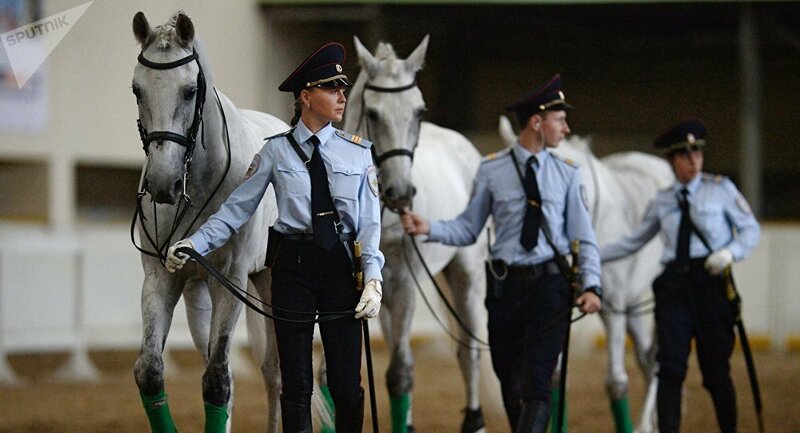 Last May, Russian media interviewed Tatiana Zima for a project about women of rare professions, and the sergeant revealed that she began riding a horse at the age of ten and trained at a private stable, having decided to become a policewoman while studying at school.